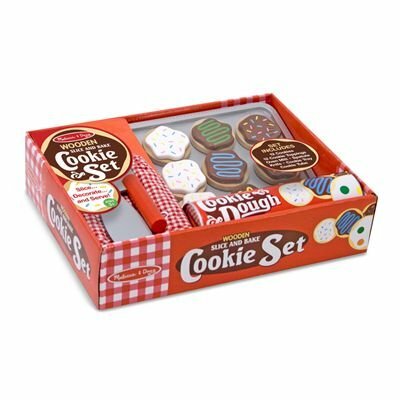 How cute are these play cookie sets?! Kids love to be able to "cut" things themselves, and both of these Melissa & Doug sets provide that opportunity plus the ability to "decorate" them with whatever top design they want. 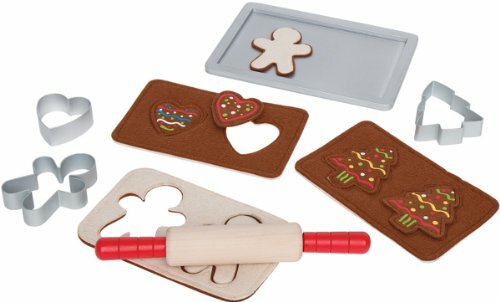 These Melissa & Doug wooden play sets include 12 cookies and 12 toppings as well as their own pan, oven mitt and spatula. 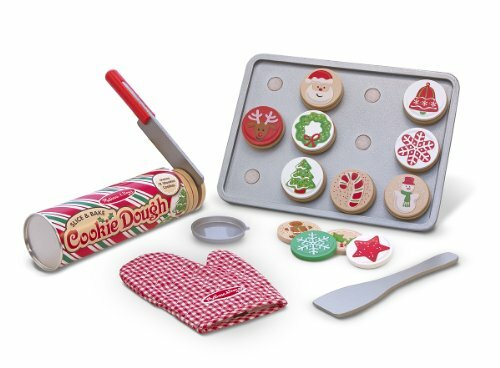 There is a Christmas Cookie Play Set as well as a basic Cookie Set with different frosting/sprinkle toppings. We're going to be baking some cookies this coming weekend and I know my guys would have fun with these afterwards as they pretend to do it again! There is also a cute Gingerbread Cookie Set by Hape. It comes with 3 felt pieces of "dough," a rolling pin and cookie cutters. It also looks fun! The manufacturers recommend these for ages 3 and up, but I know some 2 year olds enjoy playing with these, too. Use your judgement as to whether this would be appropriate for your toddler, too! 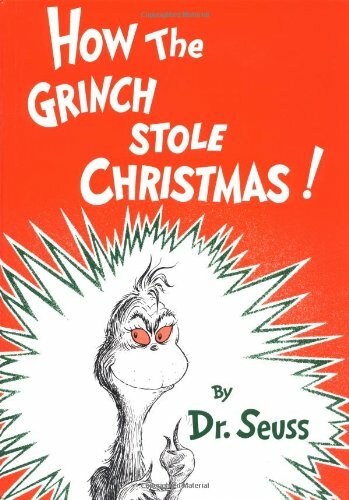 If you want to stay with the Christmas theme, perhaps a classic book like How the Grinch Stole Christmas could be paired with this gift! I'm still reviewing other Christmas-themed books, so if you have any recommendations, let me know!